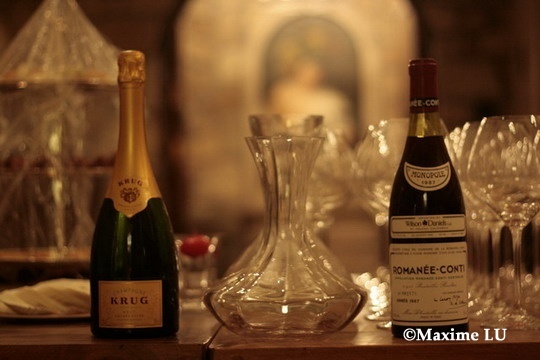 2009-06-12: 我帮个酒友主持品尝了罗曼尼康帝(Romanee Conti)1987, 开胃用的是Krug NV. 细散适量偏少的沉淀,醒了约30分钟左右,清浅通透的橘褐色泽; 主导的干蘑菇气息,融合着泥土和皮革的味道, 还有松露, 以及天目笋干的香气,干净清晰,很好的复杂性,而且富有变化,持久; 中等酒体,细腻如丝绒般的单宁,温柔却有力地在口中撑起了独特中等的矩形”空间”. 前中后段的力度持续贯穿,但又不失温文尔雅的气度, 很好的平衡,适当酸度带来的活跃口感,宛如口中充盈着盛开的花瓣; 回味悠长,酸度略微凸现. 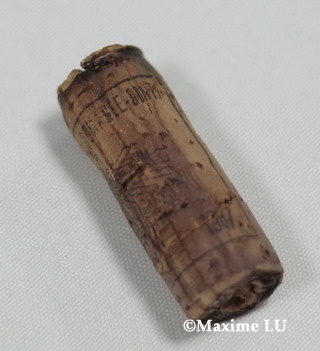 这是一款逐渐进入顶峰期的罗曼尼康帝(Romanee Conti), 1987年份感觉属于一般年份, 但还是很好的体现了上等布根地典型特质和罗曼尼康帝(Romanee Conti)作为顶尖酒园的实力. 现场准备了约58个1855列级酒庄的酒，包括Chateau Haut-Brion , chateau Margaux,chateau lafite等五大也一应具全，难得有机会那么齐全的1855体系品酒会。每种一瓶，年份不同，但都是2000以后的某一年份。上图! 全场印象最好的是 Chateau Haut-Brion 2004. 超赞! 醒了1个多小时. One of Bergerac’s most renowned winemakers has claimed that global warming is making Merlot impossible in the region. Hugh Ryman of Chateau de la Jaubertie said he had not planted a Merlot vine since 2000, and he was replacing all his existing Merlot with Cabernet Franc or Malbec. Ryman’s vineyards today are 45% Merlot, but in his top quality reds, only 25-30% of the grape goes into the blend, because of the problem of reaching full tannin maturity before alcohol levels get too high.